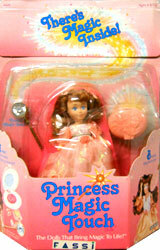 Princess Magic Touch were produced by Coleco in 1987. 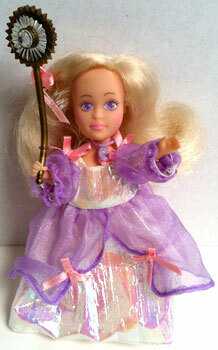 They were a set of dolls which came with a charm that would only open up when touched by the doll's "magic" wand. 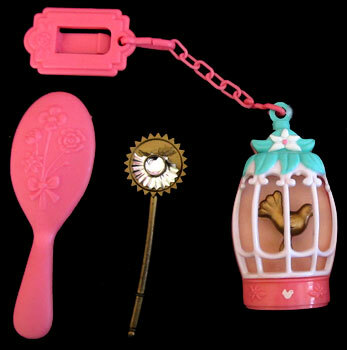 The charm would then turn into a piece of jewellery you could wear. 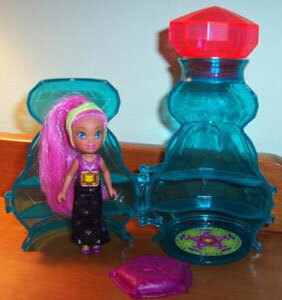 There was also a few playsets produced which all also had "magical" properties. 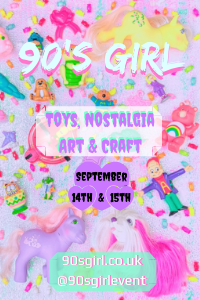 Images on this page thanks to Prancetron and eBay sellers boutiquedolls , pamallah , zaxman30 , thatpepperspraygirl and cindy92002 ! 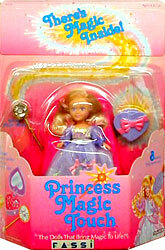 View all Princess Magic Touch on eBay.com or eBay.co.uk ! 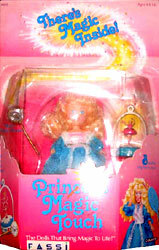 There were six Princess Magic Touch dolls produced. 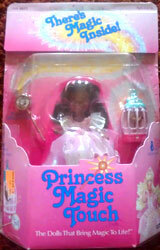 Princess Magic Touch herself was also produced as a black doll too. 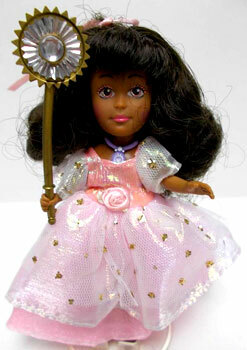 Each doll came with a removable dress, underpants, necklace and shoes, as well has her wand, brush and charm. 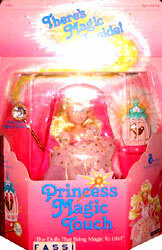 "Princess Magic Touch magically brings life to everything around her. 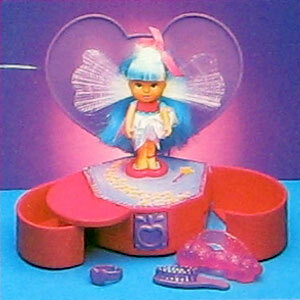 She has a magical charm for you to wear. It's magic! There's a singing bird inside!" 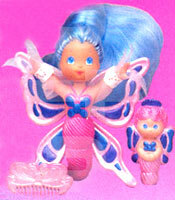 "Candy Magic Touch loves sweets. 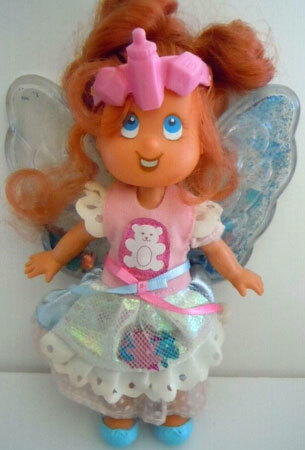 She has a magical clip for you to wear. it's magic! 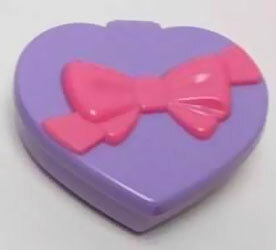 There are sparkling candies inside!" 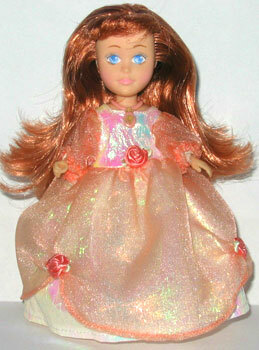 "Fancy Magic Touch loves to make things pretty. 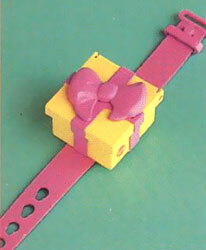 She has a magical bracelet for you to wear. It's magic! There's real makeup inside!" 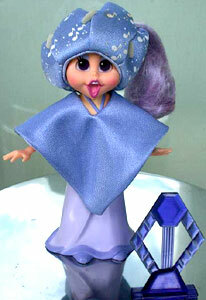 "Glitter Magic Touch loves jewellery. 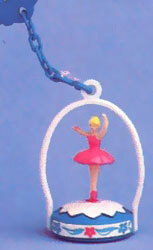 She has a magical charm for you to wear. It's magic! 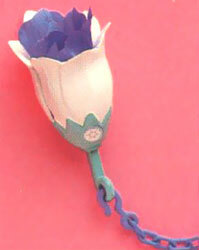 There's a blooming flower inside!" 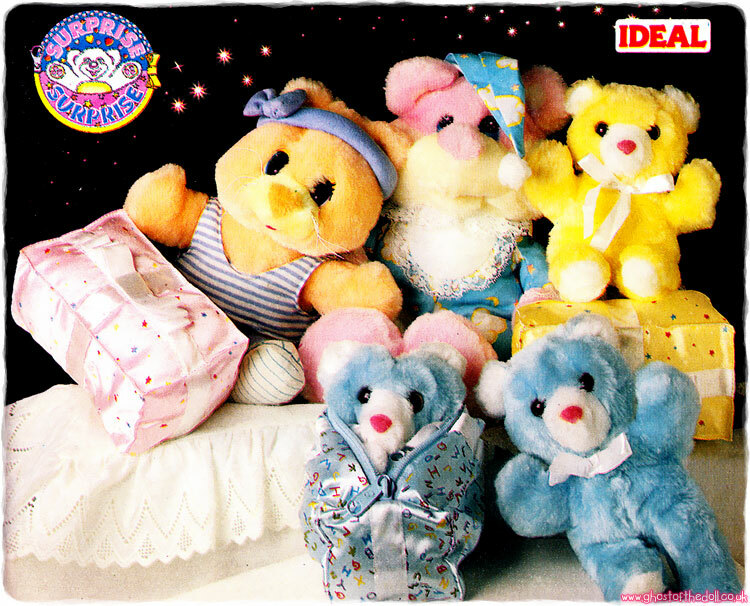 "Twinkle Magic Touch loves parties. 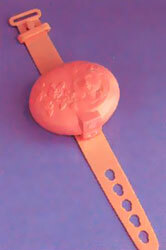 She has a magical bracelet for you to wear. It's magic! There's a cute puppy inside!" 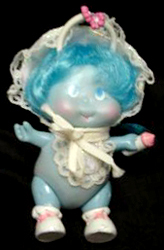 "Twirl Magic Touch loves to dance. 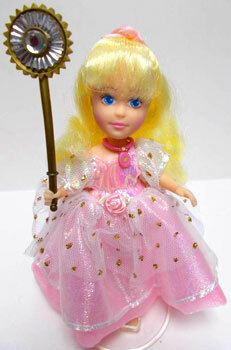 She has a magical charm for you to wear. It's magic! 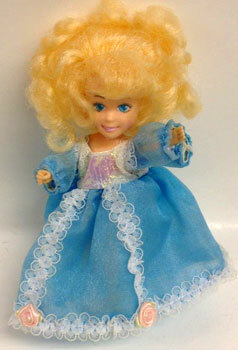 It's a whirling ballerina inside!"